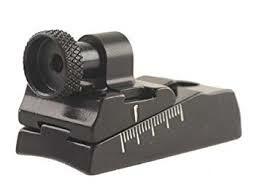 This is a very versatile sight in that it can be fitted on most of the dovetails on the receivers of .22 rifles. These dovetails have quite a wide tolerance and in many cases will require some hand fitting of the WGRS-54, but this can be easily accomplished by filing the bottom of the sight slightly to increase the width of the dovetail and then it is just a matter of slipping the sight on. 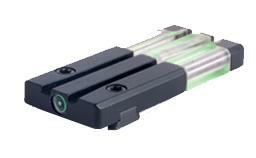 Because of low line sights a higher front sight may be required. Use of the Williams Shorty, or Streamlined ramp and a Williams beaded front sight should solve any of these problems.